NoSQL databases feature elasticity and scalability in combination with the capability to store big data and work with cloud computing systems. In particular, the formulation of the data warehouse is gaining a significant momentum. However, there are few publications on NoSQL data warehouse. 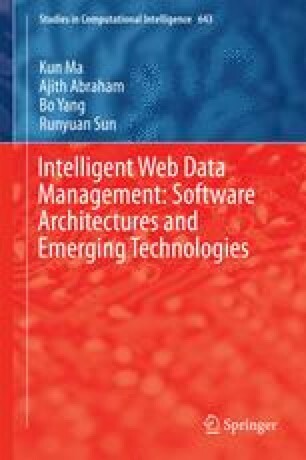 In this Chapter, we introduce intelligent Web data management of NoSQL warehouse using slowly changing dimensions with MapReduce, which addresses the issue of formulating no redundant data warehouse with small amount of storage space. The experiments are illustrated to successfully build the NoSQL data warehouse reducing data redundancy compared with document with timestamp and lifecycle tag solutions. This Chapter also provides insight into some key challenges that researchers and engineers face when designing NoSQL data warehouse.